After Piaget proves that Jean Piaget's work is critical for understanding some of the most current proposals in the study of psychological development. It analyses Piaget's legacy, moving beyond the harsh critiques that have circulated since he lost prominence. It also brings together new developments and research practices that have grown out of Jean Piaget's tradition, while providing a retrospective glance into the intellectual atmospheres of different periods at which the contributors encountered Piaget. This book reveals the richness and coherence of the School of Geneva's research during the last decades before Piaget's death. Contributions from scholars who formed part of the School of Geneva during the 1970s and '80s demonstrate Piaget's influence on such diverse fields as infant development, ethnology, neuropsychology, semiotic development, and epistemology. 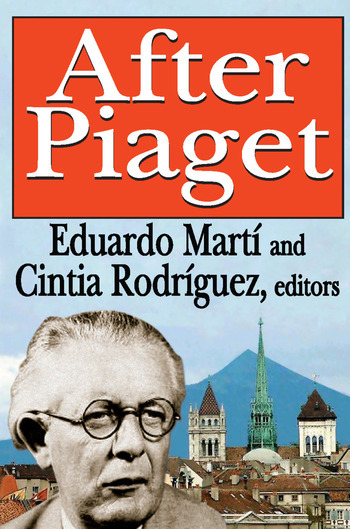 After Piaget is part of Transaction's History and Theory of Psychology series.